A tradition of quality chiropractic care since 1934. From the beginning, chiropractic has been the target of misrepresentation and illegal discrimination. D.D. 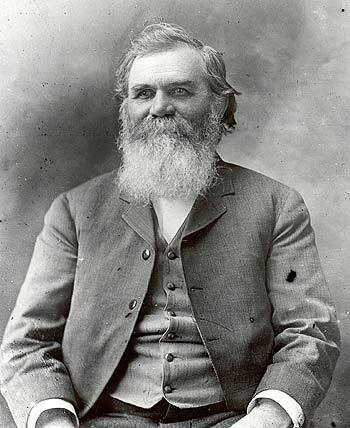 Palmer, chiropractic’s controversial founder. The Palmers of Davenport, Iowa discovered and developed many of the principles of chiropractic. Both D.D. Palmer and son B.J. Palmer were flamboyant and charismatic. Their personalities and dogmatism produced vehement detractors. To hamstring the fledgling chiropractic profession, the American Medical Association prevented medical doctors from working with or referring to chiropractors. This illegal tactic ended in 1990 when the A.M.A. was found guilty in U.S. Federal Court. Nevertheless, the damage was done. Today, the profession of chiropractic is recognized and licensed worldwide. Currently, there are 22 chiropractic colleges around the world graduating educated, compassionate and talented healers. Insurance companies and many government programs reimburse for chiropractic care. Chiropractic has come a long way since 1895. The very right to practice chiropractic, written into the laws that license chiropractors around the world, specify that chiropractic is a separate and distinct, nonduplicative healing art, different from medicine. Both medical doctors and chiropractors contribute to the health and welfare of our nation by offering two very different approaches to the restoration and maintenance of better health. Medical Treatment – Medicine is the study and practice of the cause, diagnosis, prognosis, treatment and relief of the symptoms of disease or illness. Primary interventions include the use of drugs, physical therapy and surgery. Chiropractic Care – Chiropractic is the art, science and philosophy of restoring the inborn ability to self-heal by detecting and reducing compromises to the nervous system, usually along the spine. The primary intervention is the spinal adjustment. Chiropractic Websites by Perfect Patients. Choose Natural: your source for natural health information.